Singer, songwriter and storyteller, David Massengill burst onto the Greenwich Village folk scene in the mid-70s, walking the same streets and playing the same storied coffee houses as Bob Dylan and Dave Van Ronk. Thirty years later, he&apos;s still walking those streets, but now he&apos;s being recognized universally for his pivotal role in keeping the American folk music tradition alive. Called a "master of vivid lyrical imagery" (Boston Globe), David continues to create beautiful and poignant "story songs" that are intimate and relevant and tug at your emotions. Songs like "Rider On An Orphan Train", a narrative ballad ringing with truth and anguish" (Washington Post), "Number One In America", a riveting and ironic civil rights anthem" (Boston Globe) and the biting political statement, "The Gambler, a thing of beauty about all things ugly" (Barry Crimmns). His songs have been covered and recorded by Joan Baez, The Roches, Lucy Kaplansky, Tom Russell, Nanci Griffith and his mentor, Dave Van Ronk, who said David "took the dull out of dulcimer!" Notes Music Boulevard, "That David made the lap dulcimer his instrument of choice tells us a lot about the soft-spoken native of eastern Tennessee. He accompanies his performance with an instrument indelibly Appalachian, yet conquers even the most urban of musical communities. He does it without losing that remarkable gift of storytelling." 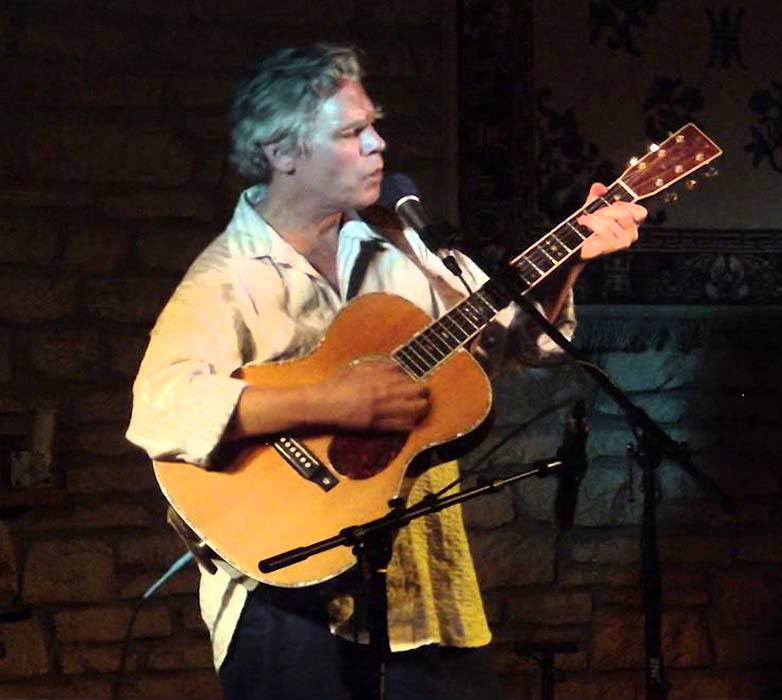 David has released six albums, eleven bootlegs and fourteen books to date, including, "Partners in Crime", the debut album of The FolkBrothers, David&apos;s duo project with the late great Jack Hardy. "...a respected cult figure whose songs are serious and idiosyncratic and whose writing is ambitiously allegorical." "A gem of thinking man&apos;s romanticism." "David Massengill possesses a pure brilliance that is difficult to ignore." "David Massengill&apos;s lyrical facility is the most astounding to appear since that of Elvis Costello. He can be wickedly funny and deeply touching in the same line-and his imagination seems unlimited." "David Massengill&apos;s songs and stories are fine-tuned and exquisitely crafted, but his performance and his delivery are all natural. He will delight you and warm your heart." Generations: Mike & Aleksi Glick is a father and son group. They are both songwriters and guitarists. Before working with his son, Mike toured the USA, Europe and Asia. His group was reviewed by Robert Palmer in The New York Times, "The material has the sound and rhythms of Brazilian... and Afro-Cuban music (and) is more rousing and musically substantive than the music of city folksingers of previous generations." Pete Seeger called Mike "one of the best songwriters going." Aleksi is a graduate of Peabody Conservatory in jazz guitar, where he held the Charlie Byrd Memorial Scholarship. He has studied with such world class jazz guitarists as Paul Bollenback, Vic Juris, Pat Martino and Jon Abercrombie, led his own music groups in Baltimore and NYC, and has already composed music for film. Generations mixes new and old. Now mining the blues, but also influenced by and playing jazz, folk and latin music, virtuoso lead guitar, fine vocals and harmonies.......provocative! 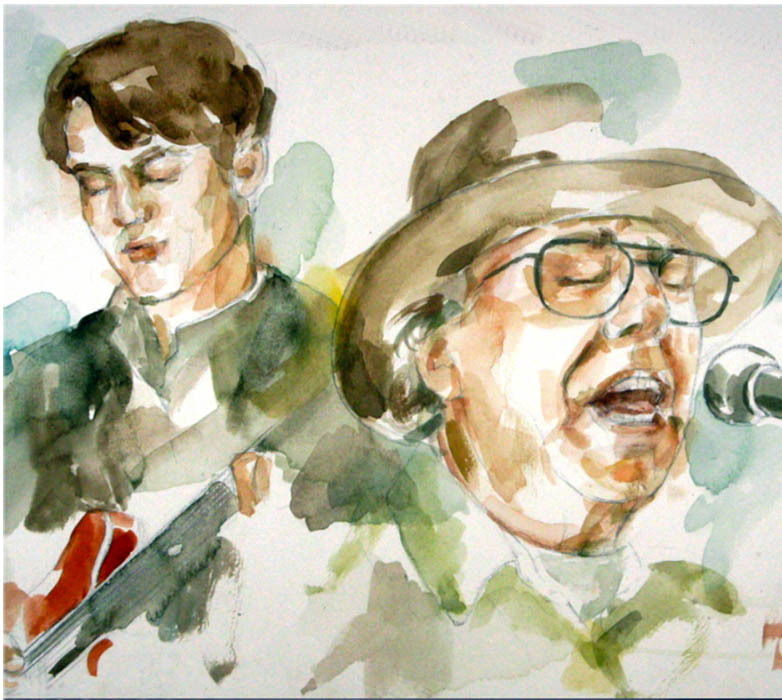 "Generations is a progressive urban folk group, the father son duo of Mike & Aleksi Glick. Their latest release is the impressive album Two for the Blues." "Quite a potent combination there - Langston Hughes Song for Billie Holiday in a beautiful new setting by Mike Glick and a fine new recording (Generations: Two for the Blues) by Mike, and at the guitar, his son Aleksi Glick." (And about Living While Black) "Strong song!" Generations: Two for the Blues, "A wonderful album!..... Listeners to my show have commented on the timeliness and effectiveness of Living While Black, a powerful part of the folk tradition of social commentary." Ron Goad, 6 time Wammie winner. board member and former VP of Songwriters Assn of Washington (DC) said "Katrina Blues is a favorite of mine and ......Daybreak in Alabama is rich and complex, a brilliant and advanced composition.... reminds me of some of my Beatles favorites, songs that grew on me with each new hearing."